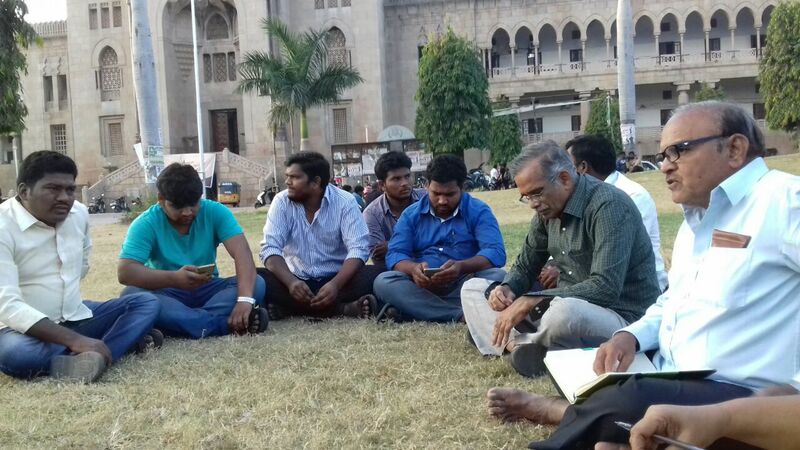 Fact Finding Team at Osmania University Arts College interacting with students. HRF coordination committee member SJeevan Kumar and Hyderabad City unit president Dr. Kalapala Baburao are in the picture. Collecting facts on the suicide of a student for not getting employment in the government.